Beautiful place excellent host, poetry on the walls. We were greeted by the owner who had provided us with a local gluten free cake, excellent olive oil. Tea and coffee, etc. The tower was excellent hiding place. The pool refreshing, so many places to dine, play cards. extensive and beautiful library. The array of fruit trees, from walnut to figs, Sharon fruit and pomegranate to one or two I did not recognise. I wish I had remembered the poems on the walls specially the one downstairs next to the kitchen. 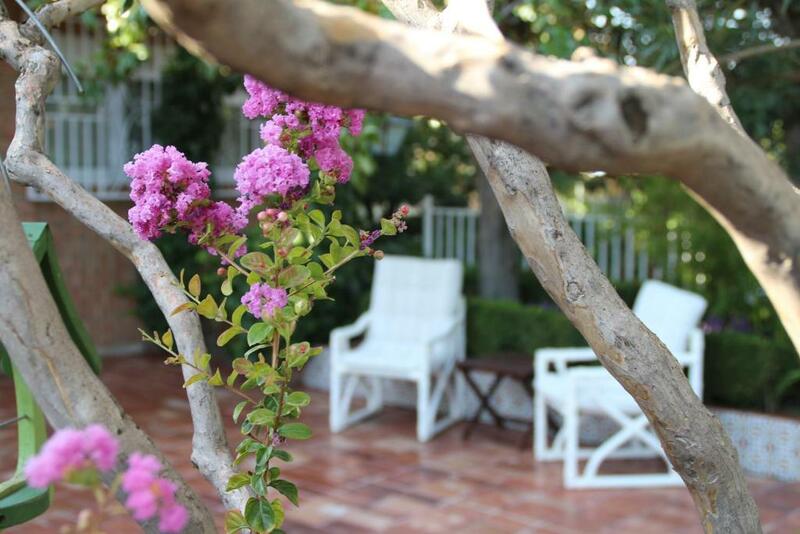 The villa was immaculate with a lovely pool and beautifully maintained gardens. La casa es amplísima, muy cómoda para un grupo grande y perfectamente equipada. El jardín una delicia, aunque en esta época sólo se aprovecha unas horas. Los anfitriones de diez, x sus detalles, disponibilidad y simpatía. Me encantó toda ella pero sobre todo la limpieza y lo bien cuidada que está. Todo, la casa amplia, preciosa, comoda, confortable, superlimpia, hemos disfrutado mucho. Lock in a great price for El jardín de la abuela - rated 9.8 by recent guests. 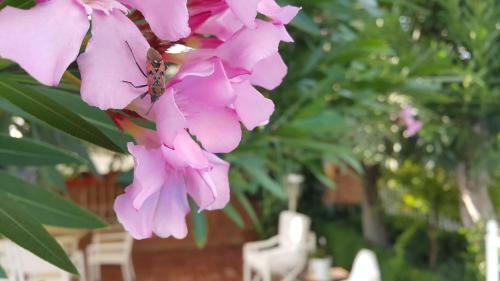 El jardín de la abuela offers accommodation in Granada, 4.3 miles from Granada Science Park and 5 miles from Alhambra and Generalife. The property is 5 miles from Albaicin and 5 miles from San Juan de Dios Museum. This holiday home will provide you with a flat-screen TV, air conditioning and a living room. There is a seating area, a dining area and a kitchen complete with a dishwasher, an oven and a microwave. The holiday home offers an outdoor pool. El jardín de la abuela features a barbecue and a terrace. Granada Cathedral is 5.6 miles from the accommodation, while Paseo de los Tristes is 5.6 miles away. The nearest airport is Federico Garcia Lorca Granada-Jaen Airport, 19.9 miles from El jardín de la abuela. 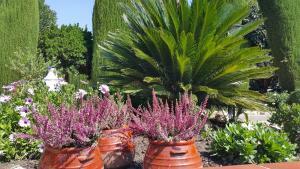 El jardín de la abuela has been welcoming Booking.com guests since 31 Jan 2018. When would you like to stay at El jardín de la abuela? House rules El jardín de la abuela takes special requests - add in the next step! Please inform El jardín de la abuela in advance of your expected arrival time. You can use the Special Requests box when booking, or contact the property directly with the contact details provided in your confirmation. Ants and wasps but that is not the fault of the property or the owner. It is part of the nature.